ItemH-00951 - Joel Stevens of Barkerville. ItemH-00958 - Mr. and Mrs. Robert Stonehouse, of Chase River; pioneers in 1888. ItemH-01211 - Thomas B. Lewis. ItemH-03527 - Adam Grant Horne, of Nanaimo; the second in command at the fort. ItemH-05857 - Senator George Henry Barnard's home, "Duvals" at 1462 Rockland Avenue, Victoria. ItemH-00923 - David Spencer Sr.
ItemH-00791 - Honourable William Smithe, Premier of BC 1883 to 1887. ItemH-00600 - Lieutenant Charles Sewell Nedham of the Royal Navy. Item H-05857 - Senator George Henry Barnard's home, "Duvals" at 1462 Rockland Avenue, Victoria. 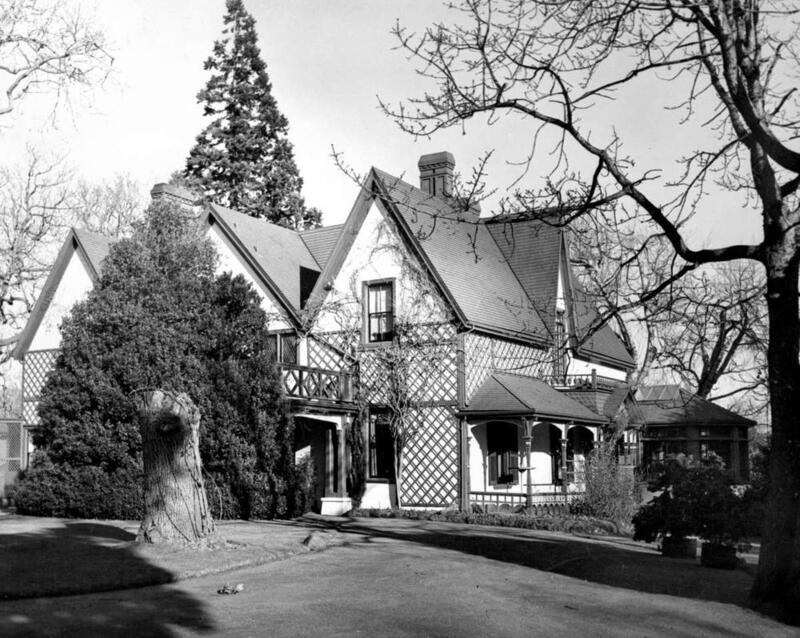 Senator George Henry Barnard's home, "Duvals" at 1462 Rockland Avenue, Victoria.